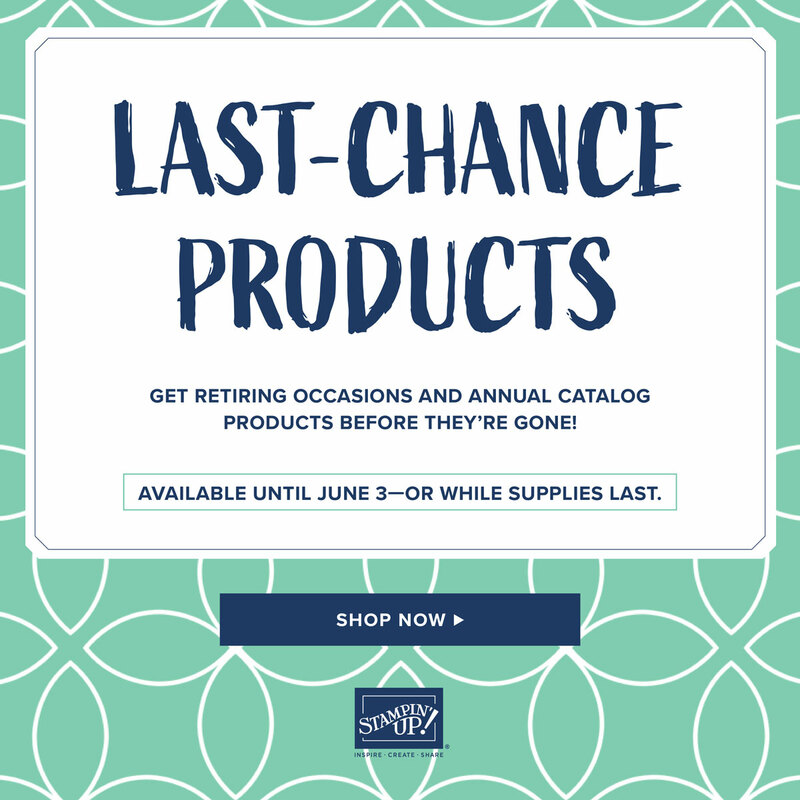 Retiring host sets may be purchased using Stampin’ Rewards from a qualifying party only/order of $150 or more product order. please make some of your purchases in my store. No Risk! Try out all of the demonstrator discounts and benefits through October 31, 2019. No penalty to drop. Extend from October through December (attend OnStage, view and pre-order from the Occasions Catalog) by reaching $300 in sales by October 31, 2019.